Sun International Pretoria Casino Project on Track. Gambling giant Sun International’s plans to build a R3 billion casino and entertainment complex in the capital of South Africa, Pretoria, stayed firmly on track as the project earned a much-needed OK from the National Gambling Board of South Africa the other week. The entertainment complex in question is set to be built in one of the richest areas of the city and it will include a hotel with a conference center, as well as a casino and an indoor facility for concerts. 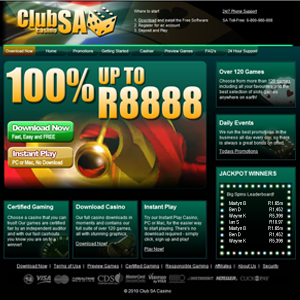 In order to pull off the investment, Sun International will close Morula Sun - the ailing casino also in the Pretoria area. The actual development of the said entertainment complex could take as much as 36 months to complete. Sun International will hold 74.9% of the development and it will obviously count on the investment to bring long-term growth to its revenues. 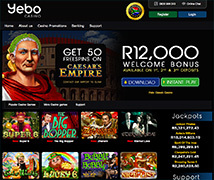 Back in February, due to stagnating gambling revenues, the company reported a 21% profit drop. The net income of the company dropped as well last year, but fortunately for the grand scheme of things, hospitality jumped in where gambling failed, as the weak Rand gave a massive boost to the tourism industry. Indeed, as gambling revenues essentially stagnated, hospitality revenue skyrocketed, with room revenues up 26% and food/beverage-related revenue up 10%. The quarterly trading updates of the company did indeed create the illusion of a wild rollercoaster-ride for Sun International’s investors, but these reports were deemed quite irrelevant by the board, in light of the industry volatility and the changes the company was going through. With that in mind, the board decided to discontinue publishing such quarterly reports, focusing instead on half-year profit announcements which are obviously much more relevant from the perspective of medium to long term trends.